DOCTOR WHO SERIES 11: Five Classic Monsters That Should Return, Perhaps? | Warped Factor - Words in the Key of Geek. 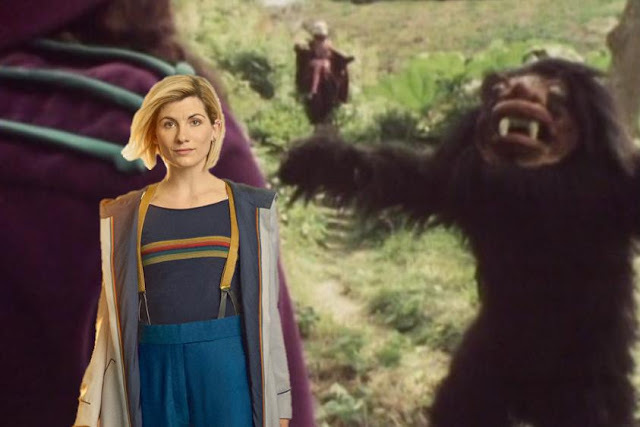 DOCTOR WHO SERIES 11: Five Classic Monsters That Should Return, Perhaps? Dr. Moo goes on the great journey of life. It’s remarkable how little we know about the upcoming 11th season of Doctor Who in its revived form. Incoming showrunner Chris Chibnall has done an excellent job keeping things tightly under wraps. At the time I write this all we have are the main cast, the head writer, and a handful of directors. That’s it. Normally you'd expect at least a Mirror article’s worth of leaks by now. So thank you, Chibs. Thanks for keeping it all under wraps. This way we can enjoy series eleven fresh with no knowledge of what’s coming. Which leads me to this article. Five classic monsters and aliens that are due a chance to come back. Now if I could just find where my tongue is, I think it’s got stuck somewhere in my cheek. Does anyone actually know what these aliens were? Me neither, but considering they were in Time-Flight it’s safe to say that logic was not high on the agenda. 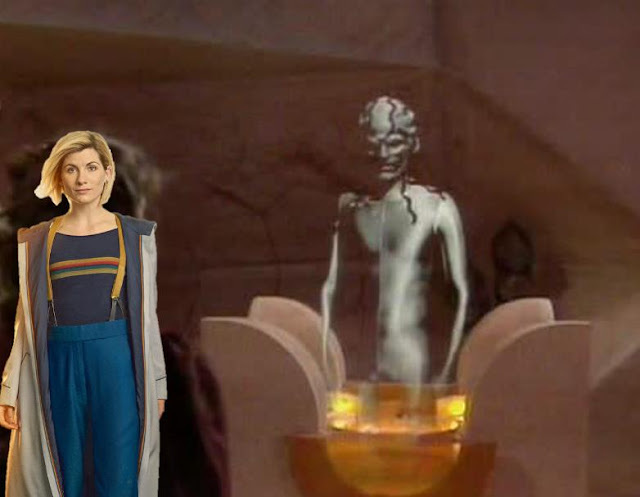 These little men in grey spandex bodysuits have a history with the Master and are encountered by the Fifth Doctor in prehistoric Earth. After they take the Master away, his next appearance comes after his escape. How did he escape? What did he have to escape from? 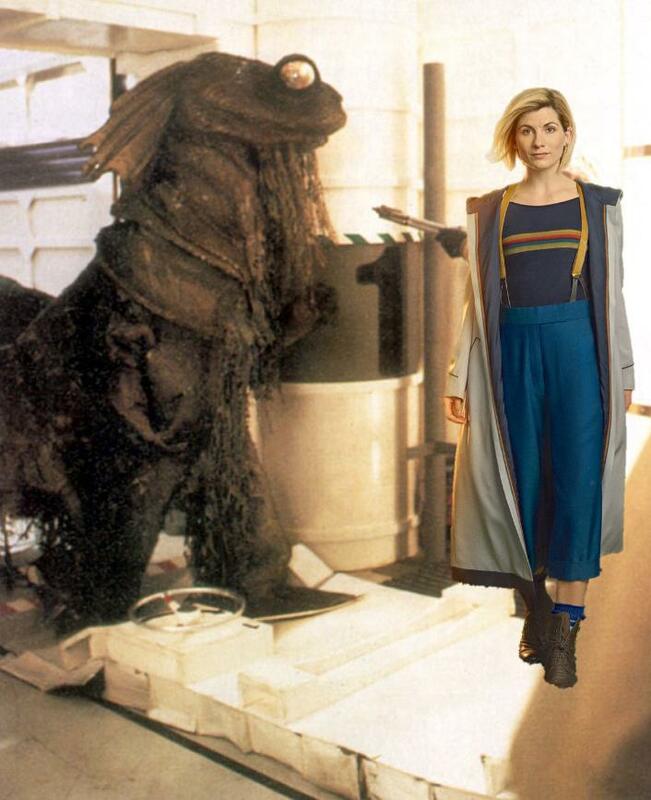 We may never know, but perhaps in series eleven we will finally find out. Surely of all the loose threads left in the Doctor Who canon this is the one that’s most glaringly unfulfilled? A creepy prehistoric seahorse thing? I think… again, the low points of the Davison era weren’t exactly known for great writing so we have to fill in the gaps ourselves. This monster could have been genuinely frightening if done right. Warriors of the Deep however opted for one of the cheapest monster designs in the history of the show with the Myrka being portrayed by a pantomime horse that wasn’t able to walk straight. 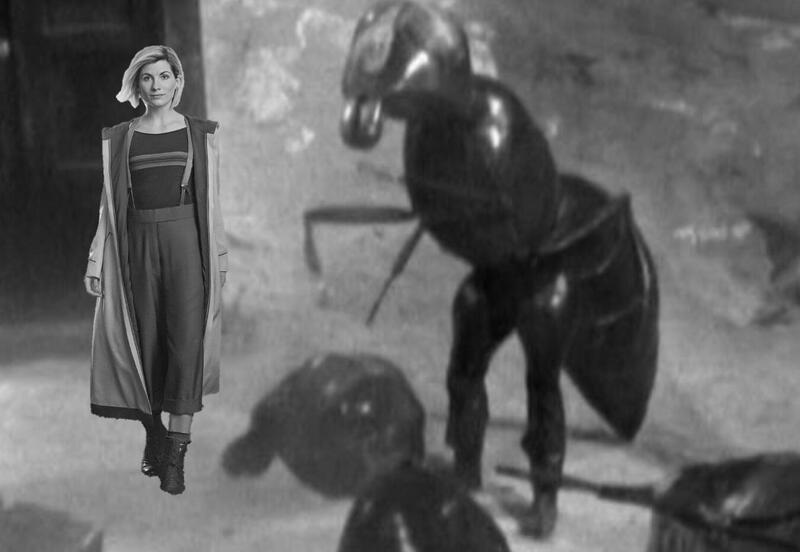 “There should have been a better way” says the Doctor's 5th incarnation. Maybe now she’ll get one. As long as it retains the panto production values of course. I’m too much of a purist to accept otherwise. Showing up around 8 minutes into The Androids of Tara (which is amazing and you should go watch it now if you haven’t before), this brown furry menace runs into the story to scare off Romana’s first (and best) incarnation. 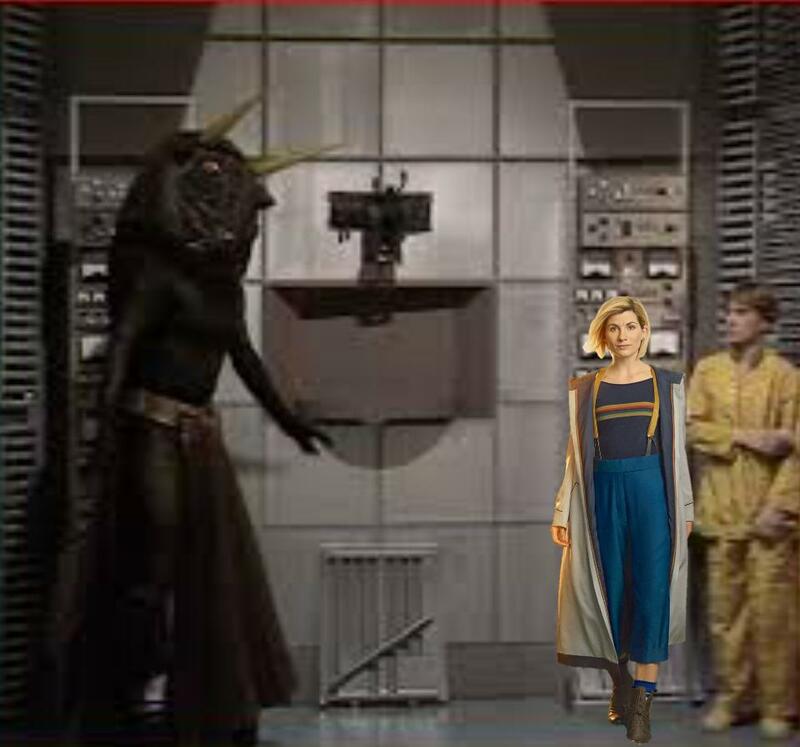 It’s entirely there to service the plot – we needed a reason why Romana would get a minor injury and find herself with the villain – and as soon as it’s scared off it’s never mentioned again for the remaining three-and-three-quarter episodes of the story. That’s a shame as this thing has the power to be terrifying. Imagine it chasing you and how hard you must try to run instead of pointing and laughing at it. Sounds like a scene from a nightmare, and Doctor Who is a show that should try and be scary sometimes. Who doesn’t want to relive the joys of the stone cold classic fan-favourite poll-topping masterpiece that is The Web Planet? 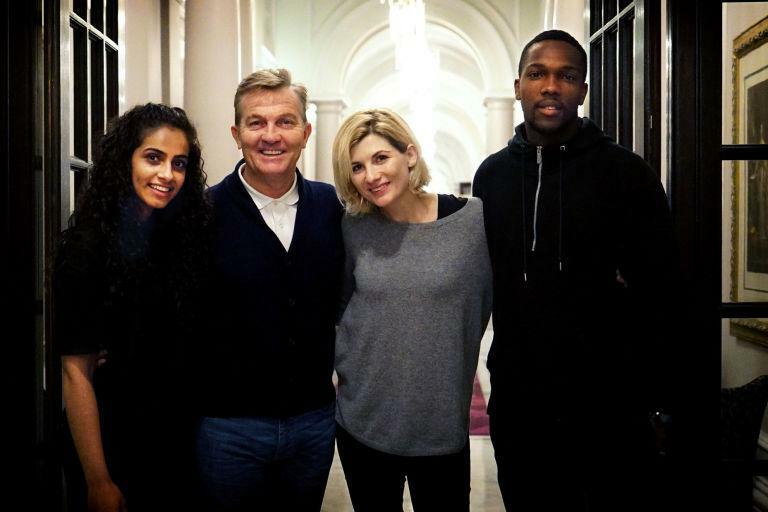 Six episodes of delight as the original Doctor and his three companions (just the same as in series eleven - coincidence? I think not) wander around the planet Vortis trying to get to somewhere and sort out the Animus. The story, easily the best Doctor Who serial of all time, famously put jelly on the camera lens to try to replicate the atmosphere of an alien world and the monster design is fantastic and looks so real. This is the kind of hard hitting relevant sci-fi we NEED to see Doctor Who go back to. The Horns of Nimon is a joyful experience. Every single line is a meme, it’s so hard not to have a tonne of fun watching this one. MY DREAMS OF CONQUEST! YOU MEDDLESOME HUSSY! HOW MANY NIMON HAVE YOU SEEN TODAY? THREE I HAVE SEEN THREE! THE NIMON BE PRAISED! And so on. Now imagine the 13th Doctor, with her northern accent and the enthusiasm she carries with her, getting to say any or all of those lines. Pure heaven. So these are my top five picks for classic monsters and aliens overdue a return to the series! Why not tell me yours in the comments? And don’t write off anything, after all series ten had both Movellans and Alpha Centauri show up, so anything is possible.